Over 15 years of stuffing our guts with all things hot and cheesy makes this chain a Houston institution. Start with a 3x-the-strength strawberry frozen marg (nobody’s judging), then go totally nuts on brisket nachos and chorizo queso before getting a second margarita and a second wind. Now order a tower of sizzling steak fajitas (with an upgrade to the filet, duh), down another margarita, and soar into meat and tequila bliss. 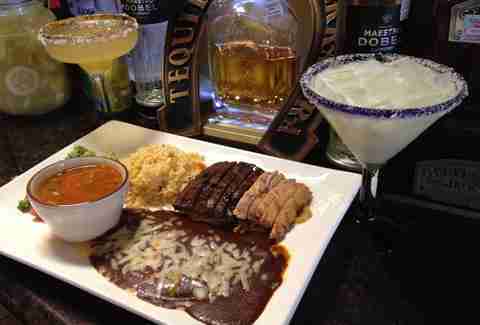 Three locations means there’s triple the chance to gorge on some of the city’s finest homestyle Tex-Mex. Breakfast plates rock the house, but if you want to feast like a king, get the namesake parrilladas – the grill comes loaded with quail, short ribs, jumbo shrimp, a duo of fajitas, and a cheese-stuffed poblano... because why the hell not. If you want your Tex-Mex with a side of party, come to this funky restaurant with an in-house club. 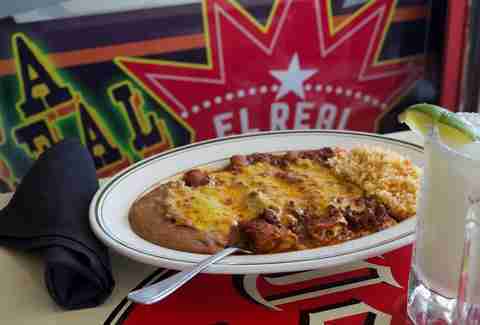 First chow down on monster plates of old-school Tex-Mex and Felix’s famous queso, then hit "Club No. Minor" for live music and blue margaritas that will have you on the floor in ways you never really wanted to be on the floor. Get handmade tortillas just like your abuela never made at this low-key Sugar Land staple. 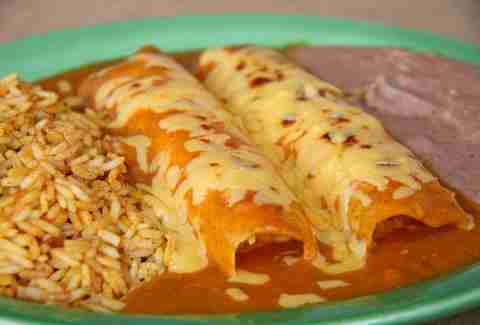 Then eat said tortillas loaded with beef fajitas, chili con queso, enchilada gravy, and cheddar cheese. 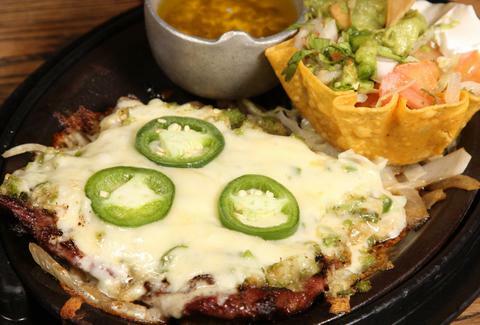 The OG of Houston Tex-Mex is also rumored to be the OG of fajitas. But you don’t have to stop there; handmade pork tamales, queso flameado, and chipotle-mayo coated fajita burgers are all just as excellent. Finish off with a boozed up ‘rita and thank the heavens for Mama Ninfa. This powerhouse with a trio of locations has been a Houston tradition since 1941. Standouts include their signature Jose’s Dip – a queso packed with spicy ground beef – and literally anything else you coat in said signature Jose’s Dip. This old-school eatery dishes out consistently solid Tex-Mex in the form of massive carne guisada burritos, queso-coated chalupas, sizzling chicken fajitas, and spicy habanero margaritas. Needless to say, we’re pretty happy about all that. Los Tios claims to be home to Houston’s first frozen margarita (what, are you going to argue?). If you aren’t using those margaritas to wash a combo plate that includes a puffy queso and at least one kind of enchilada, you’re doing it wrong. Fact: This ‘trose standby will be packed with brunch enthusiasts every Saturday and Sunday morning. 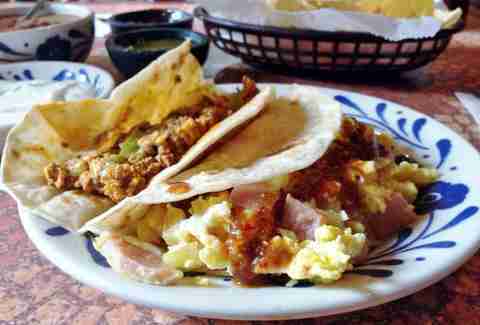 Avoid the crowd by hitting up the to-go breakfast taco bar in the front. 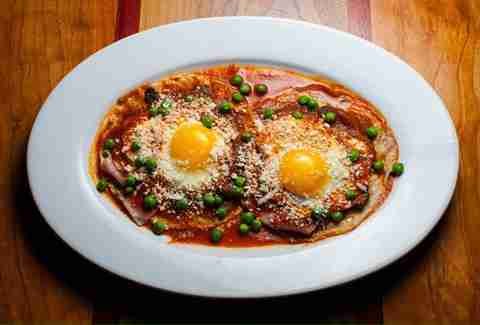 Your loaded chorizo and huevos tacos will taste better pantless on your couch, anyway. Puffy shrimp tacos, sloppy cheese enchiladas topped with chili con carne, and a 1/2lb burger loaded with Fritos, cheese, chiles, and larded-up refried beans are alllll on the menu at this vintage-style Tex-Mex haunt. 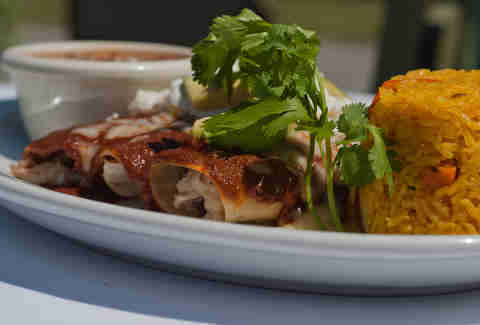 You’ll want to wash them down with at least one of the most perfect on-the-rocks margs in town. 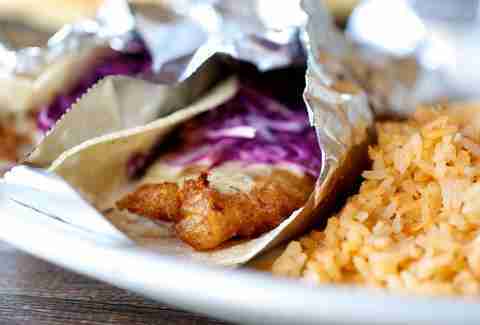 Formerly known as Pico’s Mex Mex, we still consider this new spot kinda Tex-Mex. That’s because although they have some pretty sick authentic Mexican fare, they also have nachos, charbroiled beef fajitas, and most importantly, a 48oz margarita that is bigger than your head. It just doesn’t get more Texican than that.